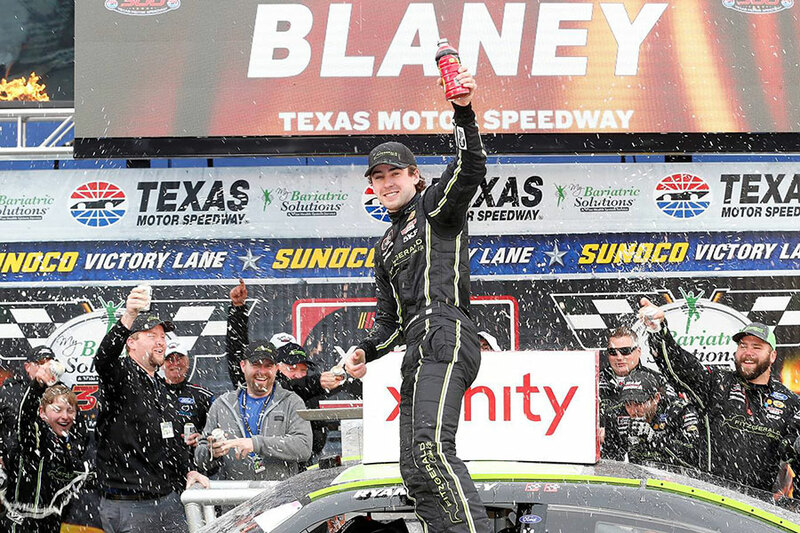 Ryan Blaney took the the win this weekend in the My Bariatric Solutions 300. 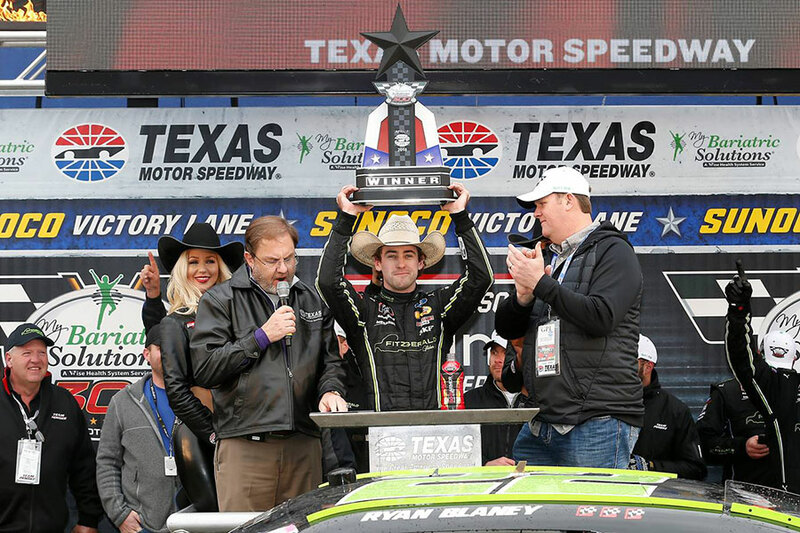 He started first and finished first in his seventh career win. 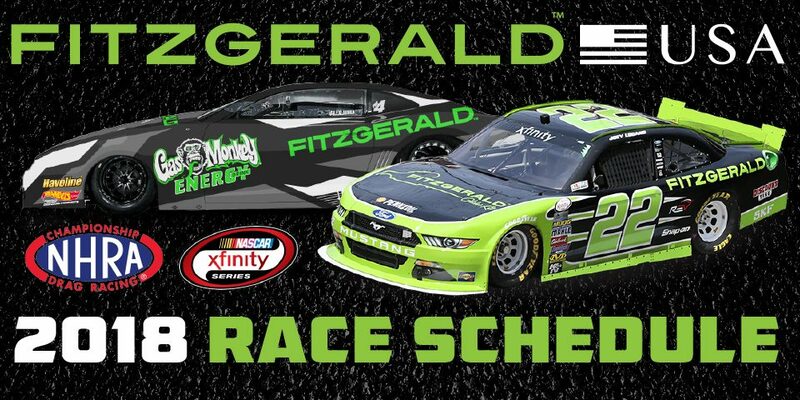 This race was the third consecutive victory for the No. 22 team in 2018 (Brad Keselowski at ISM Raceway and Joey Logano at Auto Club Speedway). 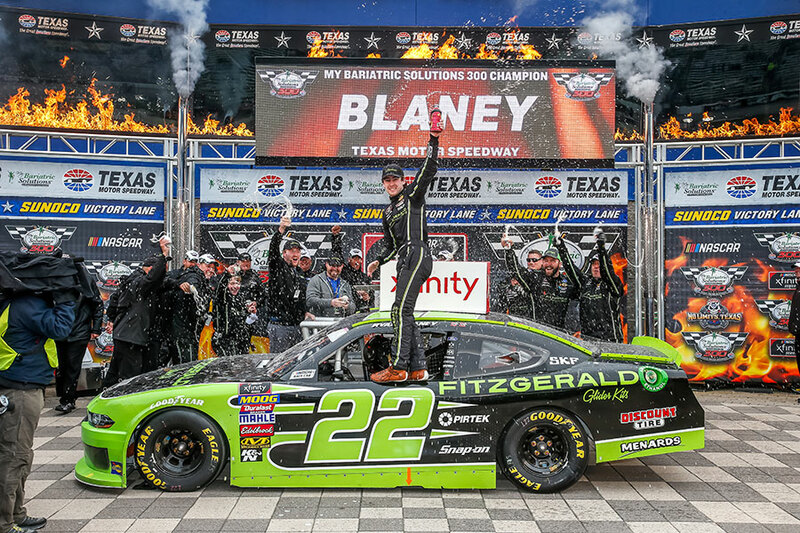 It was also the fourth win for Team Penske in 37 starts at Texas Motor Speedway. 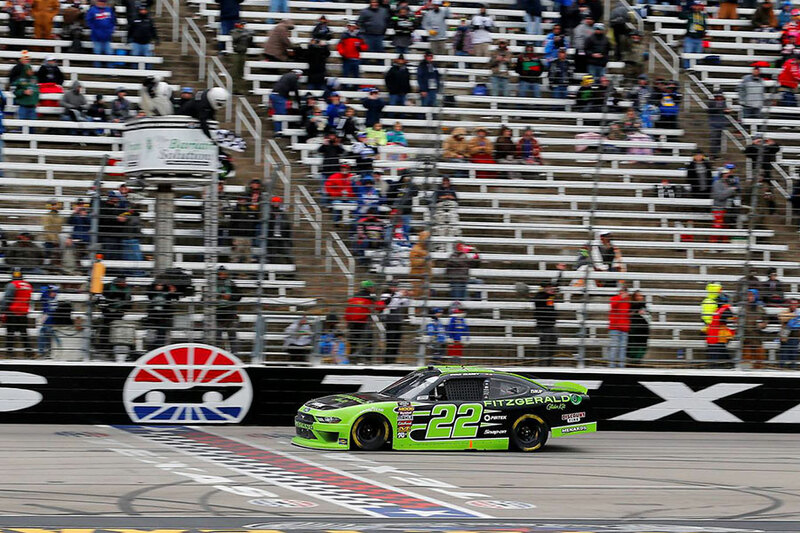 “We started up front and there were a lot of cautions early and in the middle stages of that race. It was kind of hard to get going and really tell what your car was doing. The temperatures were so different today from when we practiced yesterday. We didn’t know where we would be at with balance at the beginning of the race. I think we ran two laps in between like three or four cautions and I didn’t really know what we needed. We were pretty close to begin with but got behind a little when we got loose on that restart and then the stages got broken up. We were able to restart seventh and drive back up to the lead and lead the whole thing after that. It was just a really fast race car. That is three in a row for this team with three different drivers. 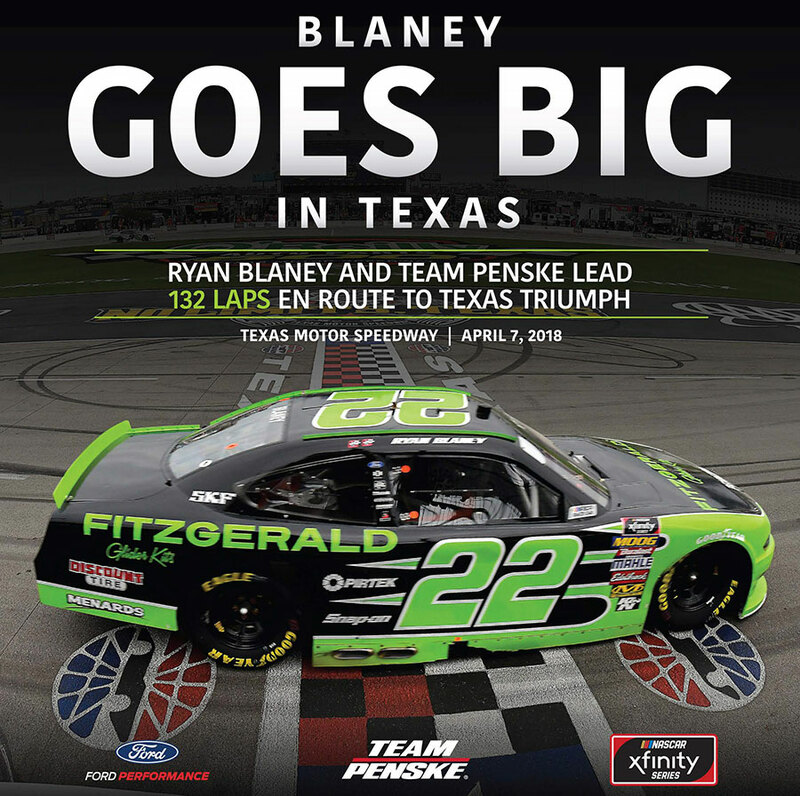 That says a lot about Brian’s work that he has done and the whole team to bring fast race cars to the tracks lately. Hopefully we can keep this up. It was definitely a fun day.